He had no radio, his engine broke, his sail tore and his cellphone ran out of battery, police said. 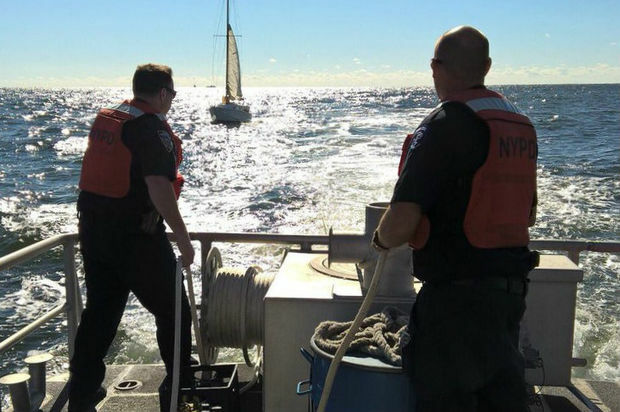 QUEENS — Police rescued a sailor Sunday who'd been adrift for three days without food or water 5 miles off the Rockaway Peninsula, officials said. The 39-year-old seaman, who's from Manhattan, set off Thursday on his 26-foot Pearson sailboat without a radio before a series of calamities beset him, NYPD officials said. His engine gave out, his sale tore and his phone died, leaving him helpless and adrift just off the Queens shoreline, NYPD officials said. He had no food or water and became dehydrated, police said. Someone finally spotted him and notified the NYPD, which set out to rescue him about 10 a.m. Sunday, police said. He was eventually picked and taken to a Marine Basin Marina at 1900 Shore Parkway and then Coney Island Hospital, where he's listed in stable condition, police said. An NYPD spokesman didn't know from where the sailor took off or where he was heading.